Came up with a design consistent with Frank's other websites. Publishing platform for Frank Parkinson. 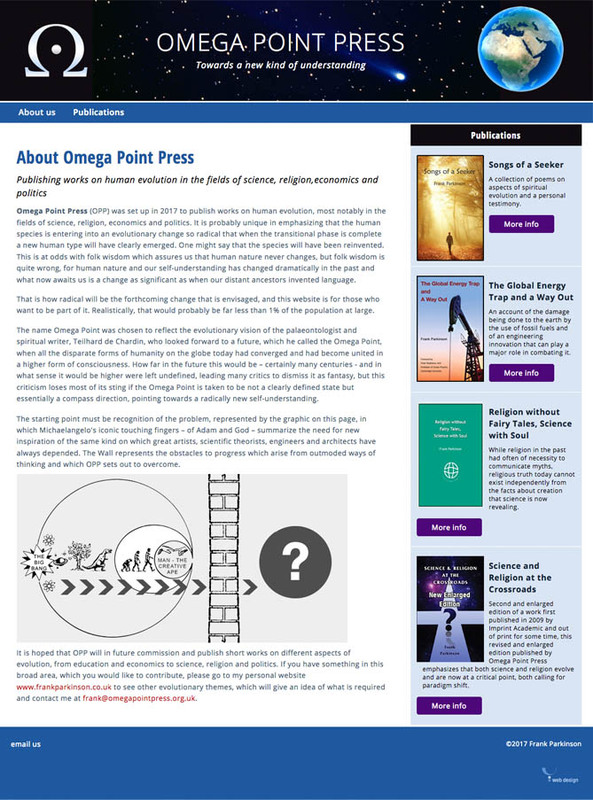 A new website for Frank Parkinson's new publishing company, Omega Point Press.